For those of you who know me very personally, you know that this past week has been insane and trying — but also very healing. Often times, the moments that you dread aren’t so scary at all. Hold your head high, shoulders back and walk with confidence. This is something my high performance planner has taught me over the weeks. Each day, it asks for “a situation that might stress [you] out or trip [you] up today could be… and the way that [your] best self would deal with that is…” It sounds minute, but being forced (essentially) to pinpoint something each day has been invaluable. Never underestimate the power of yoga, deep breathing and power posing. My favorite yoga instructor (shoutout to Rodolfo) often says, “If you can get through this pose, you can get through anything.” He’ll often relate yoga to life, which usually made me giggle or roll my eyes during the actual class — but it’s funny how these thoughts pop into your mind and allow to to take control of your emotions in the moment. If you want to listen to the same song 27 times in a row, listen to the same song 27 times in a row. If you want to cry, cry. Let yourself experience emotions as they come. We chase happiness so often and forget that there are a million other emotions on the little chart from elementary school to choose from. Lastly, find a good wing place. Because chicken is delicious. 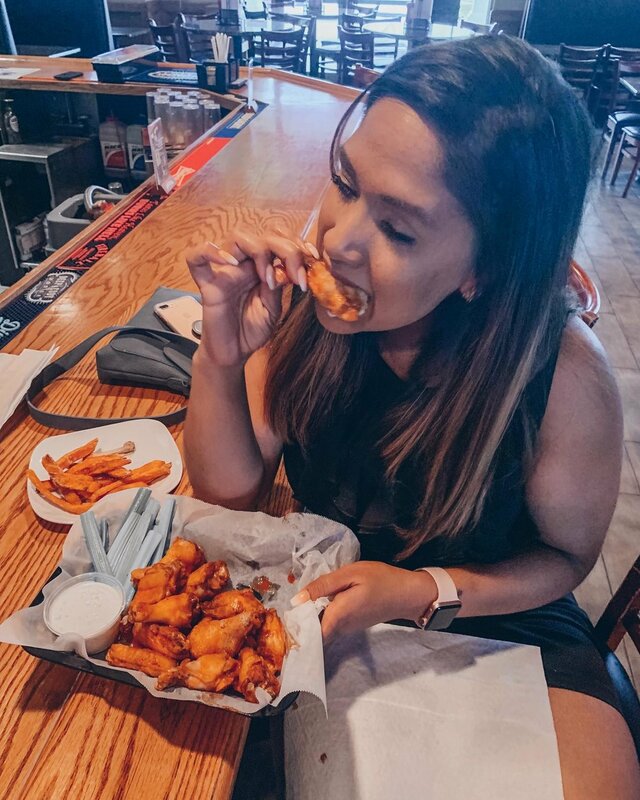 And nothing beats wing night.